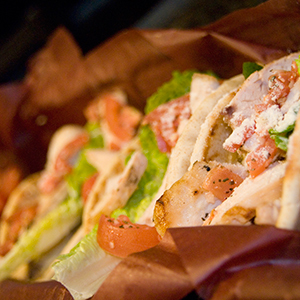 The deadline for placing an advanced catering order is 3 business days before your event by 4:00 pm. If you miss this deadline, you may order off the limited selection day of event menu inside your suite. Oriole Park at Camden Yards is one of the most beloved stadiums in all of baseball. Experiencing a baseball game here from one of the luxury suites is unforgettable. 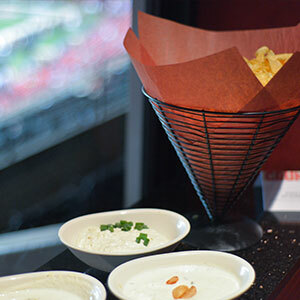 SuiteHop knows that our clients choose to attend a game in a suite because they want privacy and they want luxury. 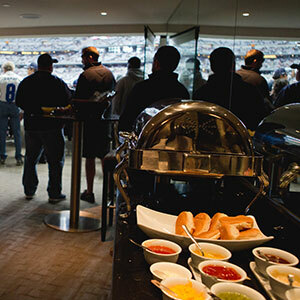 Catering in your suite is one detail that ensures that you get the VIP experience that you crave. 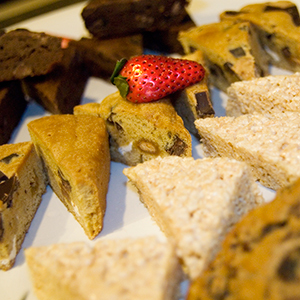 The catering menu created by Delaware North Sportservice gives you lots of options. Create a menu to meet your guests’ preferences or choose from one of their pre-planned menus. 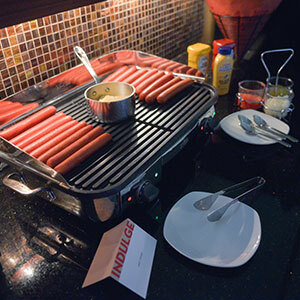 Their chefs are experts at knowing what guests in luxury suites want. You get to stay put in your suite and everything is handled for you. How’s that for VIP? 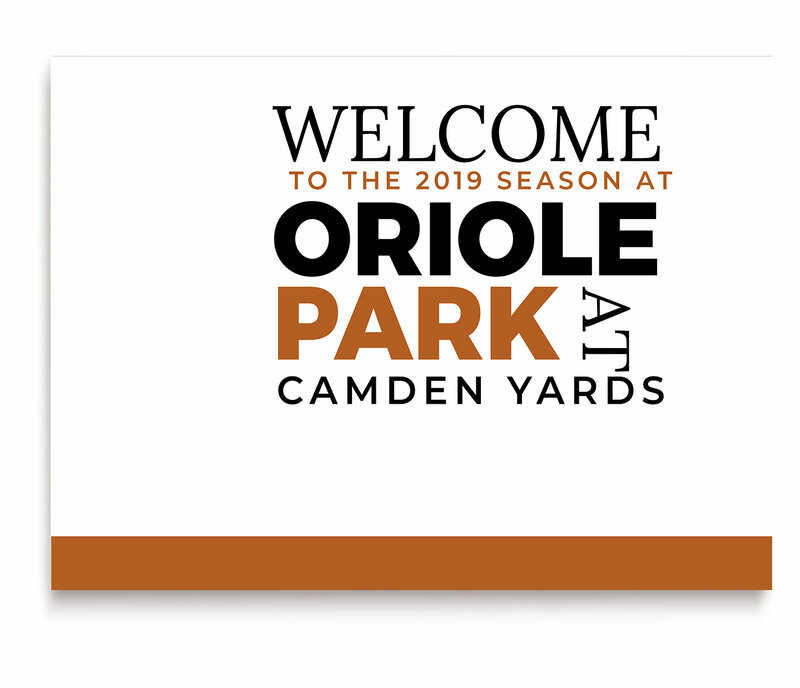 Check out the Oriole Park at Camden Yards Catering Guide for all the delicious details. If you aren’t into decision making, SuiteHop has made the decisions for you with their catering form already filled out with the menu their experts recommend. Feel free to ask your SuiteHop expert any questions and be sure to get your catering order in right away. You don’t want to miss this detail! Ordering catering is a complex and confusing process. To help extend your catering budget, we recommend selecting family style items (such as pulled pork) instead of individual portions (steak). 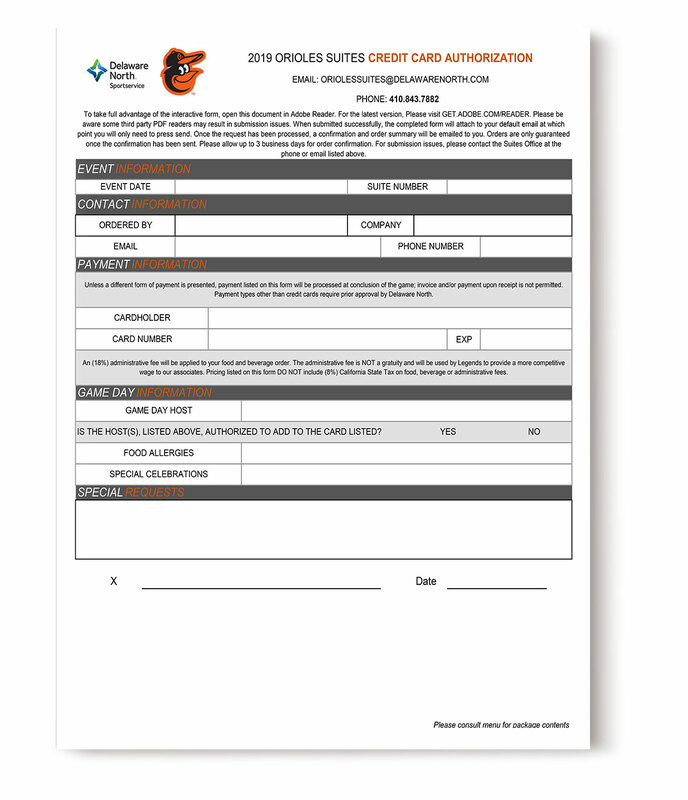 Most catering menus, including those at Oriole Park at Camden Yards, require a minimum order of 6 portions. You do not have to order portion for every guest you are expecting to attend. Don’t be left in the dark about the complexities of a catering order and end up with a surprisingly expensive bill at the end of the evening. 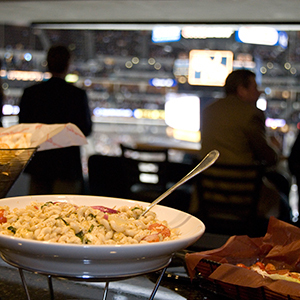 We’ve put together a list of our top Suite Catering Tips for Camden Yards. The deadline for placing an advanced catering order is 2 business days before your event by 4:00 pm. If you miss this deadline, you may order off the limited selection day of event menu inside your suite.